BGN Technologies is a technology transformation company of Ben Gurion University (BGU) in Israel. The company recently announced that a research team headed by Prof. Varda Shoshan-Barmatz from BGU Life Sciences Department and National Institute of Biotechnology has developed a new treatment for cancer，which can inhibit tumor growth and turn these cancer cells back into normal cells. "Although it is still in its early stages, we are very excited about the results of this new molecule that has anti-cancer potential," said Professor Shoshan-Barmatz. "We have discovered a way to reprogram cancer cells so that they lose their cancer cell characteristics." This new therapy is based on small interfering RNA (siRNA) to silence the expression of the mitochondrial gated protein VDAC1. This protein is highly expressed in many entities and hematological malignancies and is the key to meeting the high energy demands of cancer cells. 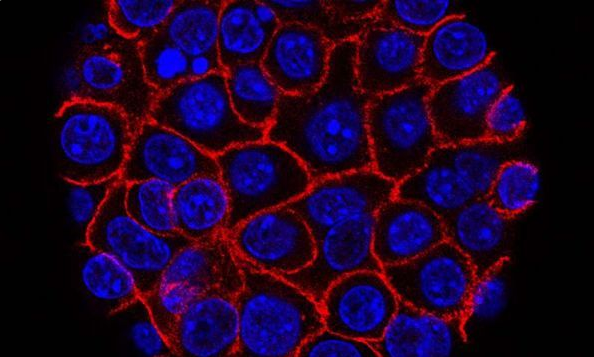 By silencing VDAC1, the researchers successfully suppressed the growth of cancer cells. It has broad application prospects because the use of siRNA treatment significantly inhibited the growth of cancer cells but did not affect normal cells. Professor Shoshan-Barmatz has previously found that silencing VDAC1 expression with siRNAs can inhibit cancer cell growth in vitro and in mouse glioma, lung cancer, and triple-negative breast cancer models. Treatment with VDAC1-specific siRNA also induces reprogramming of cancer cell metabolic pathways, reversing their "cancer cell" properties, and turning them into normal, differentiated cells. Biobool have related kits on sale.Welcome to consult us.